Many of us use microfiber cloths for things like dusting and cleaning mirrors, but did you know these absorbent towels have many other uses you probably haven’t considered? 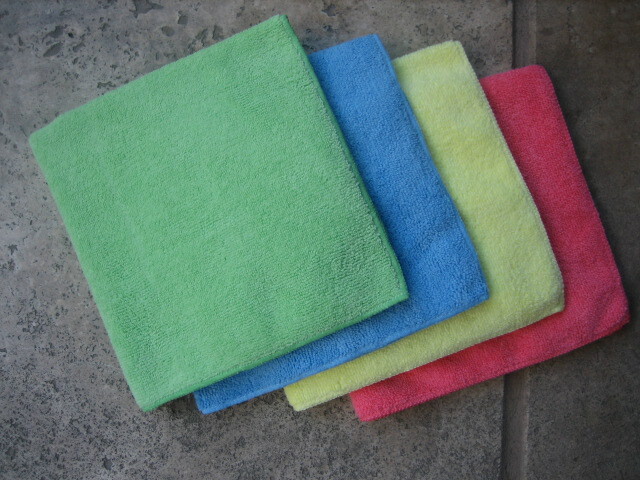 The multi-purpose use, durability, and affordability of microfiber cloths are what make them a great all-around cleaning tool. The best part is that they last a long time, and they are an environmentally friendly alternative! Once you’re done with your cleaning, you simply throw them in the washing machine, and they are ready for next time! Learn about these 7 things you might not have known that your microfiber cloths can do below! Make the Kitchen Sparkle – Microfibers are great for removing dirt and food particles from kitchen surfaces and appliances. They are also gentle but tough enough to clean granite countertops and make them shine! Streak-Free Window Cleaning – If you’re looking for a streak-free shine with just water, microfibers will become your new sidekick when it comes to cleaning those widows! Sayonara, Television Smudges – TVs and touchscreen items can be damaged by using paper towels. Microfiber cloths are a safe and affordable alternative for cleaning these objects and won’t scratch their surfaces. Tough on Stains – You know those tough stains you work so hard to remove? Next time try using a damp microfiber. They are able to pick up dirt and other particles from items, just as they can easily be used for dusting. Eradicate Shower Residue – Next time you’re trying to remove dirt and residue from your shower walls, reach for the microfiber instead! Swiffer’s Super Sidekick – Quit buying refills for your Swiffer mop; instead, stick a microfiber on your Swiffer next time! Using a microfiber will save you money and they are a great eco-friendly alternative. Polishing Power – When it comes to polishing, say hello to your new secret weapon! Whether it’s jewelry or appliances, microfiber can help make it shine! 5 Myths About Green Cleaning Busted! Cleaning is a tough job, and the common thought is that a tough cleaning job calls for a tough cleaner. This isn’t the case anymore; in fact, cleaning with green products is a great way to go about cleaning. Not only do green products get the job done, but they also protect you and your family from harmful chemicals. In spite of this, many people still have reservations about green cleaners and actually believe false information that has been handed down for years. We at U. S. Wiping are here to dispel any false information about green cleaning. Check out these 5 big myths that we have busted about green cleaning! Myth #1: Green cleaning products don’t actually work. Fact: This is more than likely the most common myth of all when it comes to green cleaning. It’s true that when most green products were introduced 20 or 30 years ago, they didn’t do too great of a job; however, in the past 10 years, all of that has changed dramatically. Now green alternatives work just as well as (if not better than) your everyday conventional cleaners. 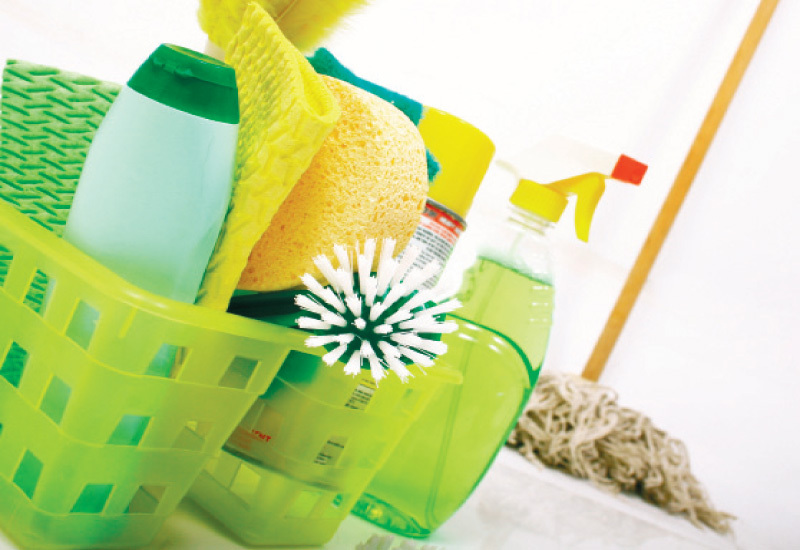 Myth #2: Green cleaning products cost more than conventional ones. Fact: Yes and no. This is true for some green products, but it’s definitely not true for all of them. In fact, several green cleaning products have become very cost-competitive with conventional ones. Additionally, while some green products do cost more, they are so concentrated, so they last longer and get more uses, which eliminates the cost differential. Myth #3: Green cleaning is just a fad. Fact: Not anymore. Several experts in the professional cleaning industry thought this about 10 years ago, but in reality, green cleaning has truly taken off and shows no signs of stopping as consumers become more aware of their health and the impacts of the environment. Myth #4: You can’t really tell if a product is really “green” or not. Fact: While this is true for many years, it’s much less prevalent today. Recently, the Federal Trade Commission has recommended very specific guidelines designed to clear up the confusion. When you’re looking for a green product to use in your home or business, look for certification labels on the product from organizations such as Green Seal or EcoLogo. Myth #5: There aren’t many chemical manufacturers that make green cleaning products. Fact: In reality, virtually every major manufacturer in the cleaning industry has embraced green cleaning! Green cleaning isn’t just about the liquid substance that you use to clean with. It’s also about the products that you use to wipe, scrub, and more! For environmental-friendly, sturdy products that you can trust, take a look at our cleaning products at www.uswiping.com and order yours today! We make cleaning easy!